The USPS has raised the possibility that, with its offices located throughout all communities, it could offer basic banking services. The U.S. 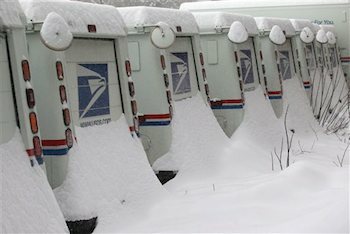 Postal Service, since privatization, hasn’t been able to run itself profitably as a mail deliverer. So of course it makes sense that it would stray into banking. Checks are delivered by mail, right? It’s a synergy just waiting to happen.